The major river in Flood Zone 3 is Calleguas Creek with a watershed area of approximately 341 square miles. 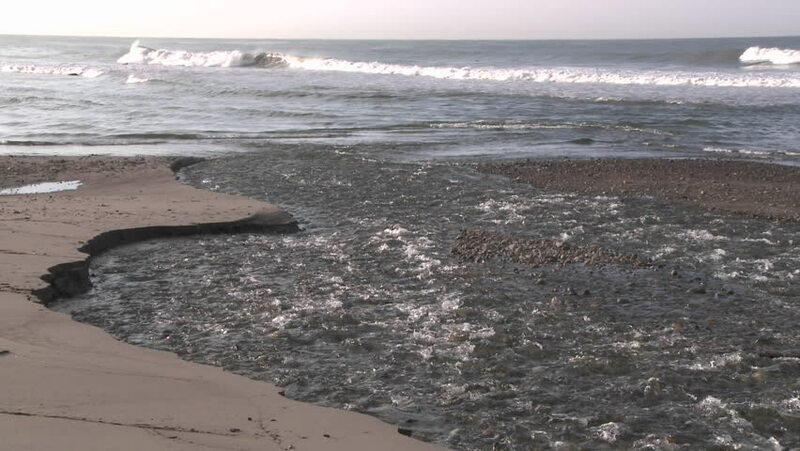 All stream flows in Zone 3 eventually end up in Mugu Lagoon before entering the Pacific Ocean. 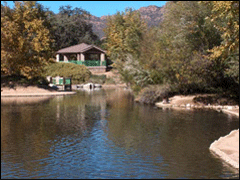 Major tributaries to Calleguas Creek include Revolon Slough (drains a portion of Flood Zone 2), Conejo Creek, Arroyo Santa Rosa, Arroyo Conejo, Arroyo Las Posas/Arroyo Simi, Happy Camp Canyon, Lang Creek, and Tapo Canyon. Virtually the entire watershed is within Ventura County, with dozens of smaller creeks too numerous to name here. 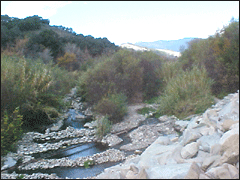 Historically, Calleguas Creek and its tributaries were all intermittent streams that only flowed seasonally from headwaters near Santa Susana at the east end of Simi Valley onto the Oxnard Plain. Due to development, Calleguas Creek is now primarily a perennial stream predominantly fed continuously by treated wastewater flows, with secondary surface flows originating from rising groundwater, agricultural and urban runoff, and periodic stormwater flows (Calleguas Creek Watershed Management Plan, 2002). 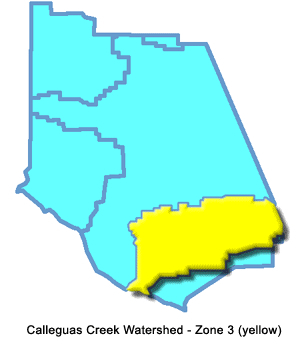 Zone 3 incorporates three of the five supervisorial districts in Ventura County. The majority of the zone falls within Supervisor District 4, with the rest of the zone falling within Supervisor Districts 2 and 3. Summers in the Calleguas Creek watershed are typically warm and dry, while winters are more mild with only occasional rainfall events. Winter frosts are rare in the coastal region, but not uncommon in the inland valleys and foothills. Except for very rare Summer or Fall rainstorms, almost all precipitation (approximately 85 percent) occurs during the Winter season, which extends from November through March. Mean annual precipitation varies from about 13 inches on the Oxnard Plain to 16 inches in the inland valleys, with a maximum of 20 inches in the higher elevations. The wettest rainfall year with recorded data occurred in 1941, when 38 inches of rain fell. The driest rainfall year was 1894, when only 3.3 inches of rain were measured. Calleguas Creek topography is typified by rolling foothill type terrain with a few steep or even vertical slopes in the northern and eastern portions. 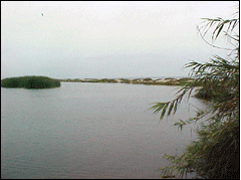 In the south and west, landforms consist mostly of alluvial valleys, and coastal floodplains. Approximately 42 percent of the watershed has slopes greater than 20 percent, with another 46 percent of the watershed having slopes of less than 10 percent. Located within the Transverse Range geomorphic province of California, geologic structures in the watershed formed from different sequences of sandstones, shales, conglomerates, and siltstones which were interrupted by basaltic flows and intrusives at later time stages (mostly in the eastern and southern portions of Zone 3). During the most recent Quaternary time frame, marine clays, sands, and gravels were deposited during episodes of erosion or during changing sea levels. The Fox Canyon member is the most important groundwater aquifer in the area because of its average thickness (500 feet), and the good water quality exhibited from water extraction wells perforated in this layer. Stream, terrace, alluvial fan, and former swamp deposits of silts, sands, and gravels up to 400 feet thick in some cases overlie most valleys and creeks in the watershed. As a result of the 1994 Northridge Earthquake, Oat Mountain (an East-West ridgeline fold along the northern portion of Zone 3) was uplifted 18 inches. As a result, erosional processes have not always kept pace with uplift, so landslides and soil slippage can happen during intense or extended rainfall events. In upper elevations, natural channels can be deeply incised with unstable sidewalls that leading to sediment erosion which impacts design of flood control improvements. 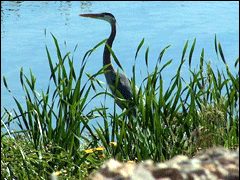 With no natural water impoundments, the Calleguas Creek watershed contains the man-made Lake Bard (aka Bard Reservoir – main imported water supply for about 60% of Ventura County population), along with several Watershed Protection District constructed debris basins of varying sizes and depths designed to capture runoff sediment before it can cause damage to the Calleguas Creek drainage system. Some of the largest District basins include Sycamore Canyon, Las Llajas, and Runkle Canyon basins. Areas where damaging channel over-topping can occur from flash floods include smaller tributaries to the Arroyo Simi-Arroyo Las Posas, and Calleguas Creek levees downstream from Hwy 101. 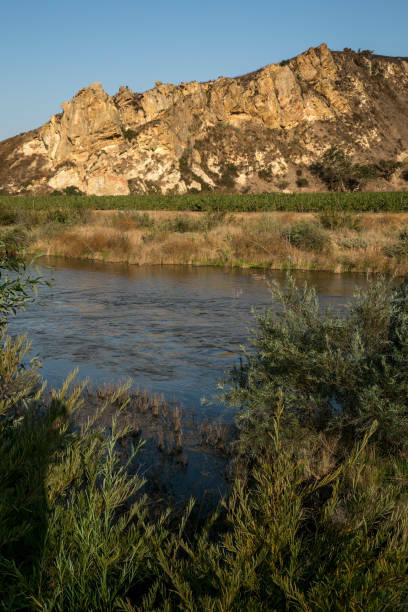 The Ventura County Watershed Protection District developed a complete watershed model of the Calleguas Creek system, including Revolon Slough, using the Modified Rational Method. Sub-watersheds were carefully digitized; imperviousness compared to latest aerial photos, and routing reaches measured from Rocky Peak to Mugu Lagoon. The majority of the sub-areas are less than 100 acres, but in some rural areas, larger sub-areas seemed appropriate. For each sub area, the input has these parameters: area in acres, time of concentration in minutes, percent effective imperviousness, hydrologic soil type, and rainfall zone with storm frequency.